In another sign that resistance to better, science-based practices will eventually have to yield, a news report indicates that a member of the South Carolina has introduced a bill that would require police to record interrogations of suspects. The bill, proposed by Rep. Todd Rutherford of Columbia, “would require judges to instruct jurors that they could ‘draw an adverse inference’ if a law enforcement officer failed to record the questioning of a suspect unless there was an equipment failure.” That required instruction would effectively require that the police record interrogations, because jurors would hear from the court that the interrogation might be suspicious. Even if the bill does not pass, the significance of the proposal is hard to miss. An increasing number of states and jurisdictions require recording of interrogations under various circumstances (see the Innocence Project’s map here), and the research shows that the recording requirement does not harm the investigation process. In fact, recording turns out to be a great help to the police overall. 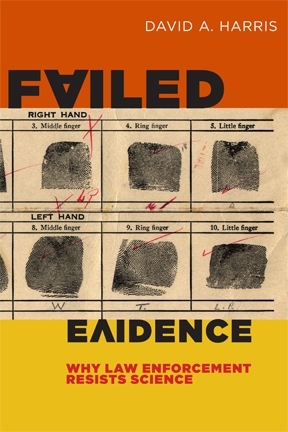 The research of Thomas Sullivan on the practical effects of recording has been particularly insightful and helpful on this issue, and academics such as Richard Leo, Saul Kassin, and Richard Ofshe have made tremendous contributions in the area of false confessions and why recording can help. More to the point, South Carolina would not be viewed by anyone as a jurisdiction that has been particularly favorable to defendants on criminal justice issues. The fact that the legislature in South Carolina now has a proposal to consider on recording interrogations means that, little by little, we are nearing a tipping point, which will bring us closer to what the scientific research shows us.